On what Truth do you stand? When you are faced with challenges, where does your hope come from? This is something that I’ve been wanting to write now for some time, but unfortunately, I’ve let the busyness of life distract me from sharing. Please forgive the delay in writing. 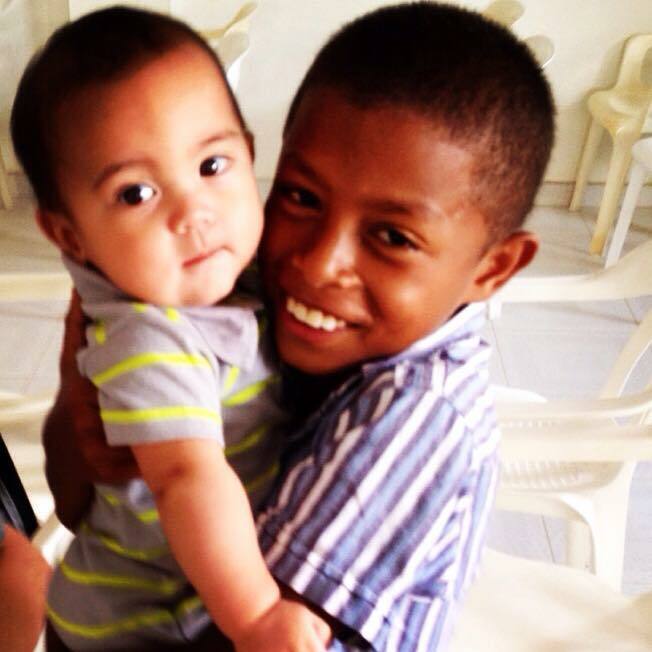 Since the last time I have written, we have moved to Colombia to serve. The process in getting here required many steps and, though we have already been here for a month, we are still in the process of getting settled. Life has changed drastically from living in the DC area to now in Cartagena. We are learning a lot and are helping our sweet almost 7 month old, Gabriel, adapt to the different climate. I do have to say though, he is truly enjoying papaya. I digress, all that to say, Life has changed for us. That’s no surprise, Life always changes, but it’s how we react that allows it to be an easy change or a more difficult one. In the midst of a terrible storm in which the boat and all the men on the boat could have easily been swallowed by the waves, Paul stands firm on the Truth. His faith in God does not waiver even when there doesn’t seem to be any hope. He finds Hope standing on the Truth he knows. That’s the hope we want to share. That’s the truth we want to share. Even though change isn’t always easy, it can easily us throw off course as we try to fight it. Now, we are not facing any storms, but change and transition can easily seem overwhelming and difficult at times. Learning a new language, finding a place to live, and just trying to communicate and learn has it’s challenging moments. But as I see the beautiful faces of the children here, the passion and love of the leadership team at the church we are serving with, and even just the sweet giggle of Gabriel as people interact with him and the children surround him, I remember Truth. I remember why we are here. I’m filled with joy, with peace, with trust, and above all Hope. And one day, I will be able to write all that in Spanish ;).